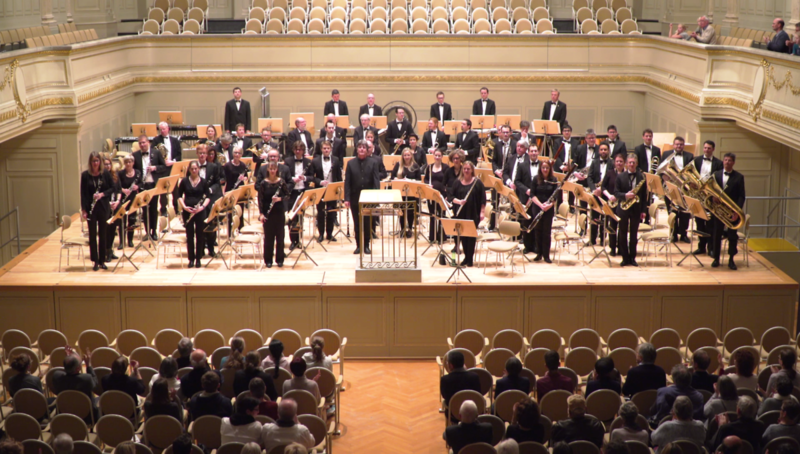 The Berne Symphonic Wind Orchestra (“Sinfonisches Blasorchester Bern”) was founded in 1979 by its present conductor Rolf Schumacher. It currently consists of about 60 qualified musicians coming from the region of Berne and surrounding cantons. Its composition corresponds to the American Symphonic Band. The aims and purposes of the orchestra are the cultivation of concert music, the encouragement of contemporary compositions, the performance of public concerts as well as the participation in musical events in Switzerland and abroad. Every year, different concerts are rehearsed and performed. Soloists from our own ranks are offered the chance to show their skills in both traditional and contemporary solo literature. The Orchestra was invited for concerts in several countries such as Austria, Belgium, Bulgaria, Canada, Germany, Japan, the Netherlands and the USA. Traditional concert dates are the chamber music morning performance in summer and an autumn concert in Berne as well as the Christmas concert.